This article profiles and documents one of the prominent du’aat and mashayekh working with Hizb ut-Tahrir in Jordan, Shaykh Mahmood bin Abdul Latif Mahmood Uwaydah, or Abu Iyas as he is also known. He is a prominent da’ee who embodies those elements that are crucial for people of knowledge in this day and age, and is an example of persistence and dedication in both knowledge and activism in work for Khilafah and Islamic revival generally. Shaykh Abu Iyas joined Hizb ut-Tahrir’s work in the early 1950s, not long after its formation, as a young man, and studied the culture and ideas of the Hizb in Qalqiliya, Palestine. He remained with the Hizb in Palestine until he was required to travel to Saudi Arabia for work, where he was employed as a teacher in the Ministry of Education. Upon discovering the Shaykh’s association with the Hizb, the Saudi government deported him along with several other shabaab (members) of the Hizb back to Palestine in the 1960s. 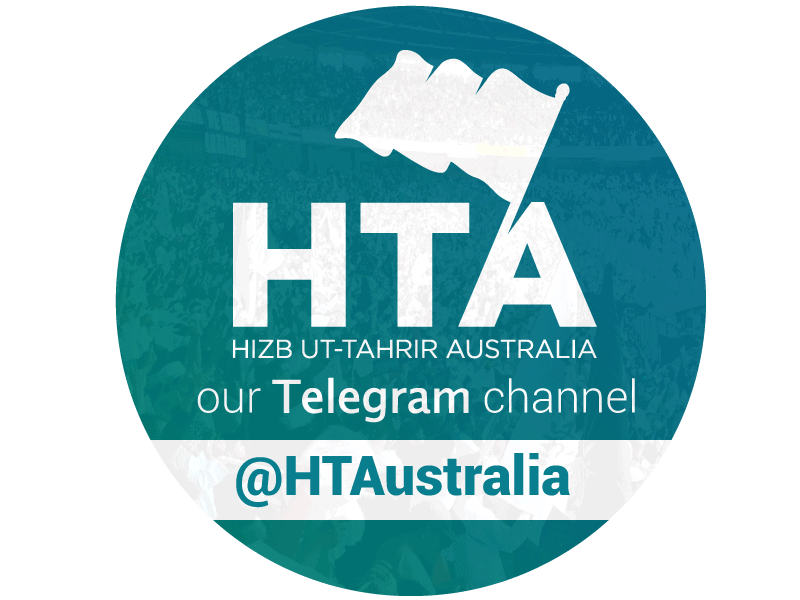 He resumed his studies with the Hizb at this stage and has continued since, becoming a teacher both of the Hizb’s culture and of other Islamic subjects too. The Shaykh had a keen interest in the Islamic sciences from the time he joined the da’wah of the Hizb. He spent considerable time in the company and tutelage of other early members and mashayekh within the Hizb who themselves were either graduates of Al Azhar or had learnt directly with Shaykh Taqiuddin Al Nabhani, the founder of the movement. Shaykh Abu Iyas was has been imprisoned 5 times in his life for his work with Hizb ut-Tahrir. He believes that his imprisonment for significant periods of time with no sentence (detailed below) indicates that the Jordanian government intended to keep him imprisoned for life. He was arrested by the Jordanian government for his association with the Hizb for the first time in 1968, then in 1974, then in 1982 and then in 2000. He was once again arrested in the month of September in 2016, however he was released within a week after protests erupted over his arrest and that of others after he denounced the Jordanian government’s changing of the education curriculum to further strip out Islamic teachings in school text books. While the Shaykh had been imprisoned twice previously, it was his lengthy imprisonment without charge for 6 years beginning in 1982 that saw his dedication to the Islamic sciences reach new levels. It was during this incarceration that he decided to dedicate himself completely to knowledge and writing. He says in an interview that he “wished to study all that he could of Islamic jurisprudence”, so read and studied hundreds of books, including the major voluminous volumes of Fiqh penned by ‘ulema throughout the centuries. These books and their contents would also be discussed with his peers in jail, many of whom were likewise learned men and ‘ulema in their own right. The jails of Jordan were full of activist mashayekh of various movements and methodologies through these decades, including those of Hizb ut-Tahrir and others. With them the Shaykh had the opportunity to learn and discuss the details of Usool, Hadith, Fiqh and other Islamic sciences. Of the books which left a deep impression on the Shaykh was the monumental Hanbali text Al Kaafi by Imam Ibn Qudamah al Maqdisi, which he singled out in terms of impact. The Shaykh’s writing began in earnest during this jail term. The majority of his subsequent books on Salah and Siyam were written in jail during this long period of arrest. During this time, the Shaykh had developed a very strong command of the fields of Usul al Fiqh, hadith (perhaps his strongest field) and fiqh, and has subsequently written extensively on them. His proficiency and dedication in these fields has led to him authoring several books, his most famous being Masail Fiqhiya Mukhtarah – Selected Fiqhi Issues – a compilation of detailed answers to Questions that he has been asked. The book contains 321 issues in the form of questions and answers related to prayer, fasting, Zakah, Hajj, Umrah, economics, ruling, social relations and Jihad. The Shaykh has selected these from the questions which he responded to between 1993 and 1997. He also authored the books Al jaami’ li ahkhaam As-Salah (an abridged version is available in English as A Guide for the Performer of Prayer) and Al jaami’ li Ahkaam as-Siyaam (Comprehensive Guide for the rules of Fasting) among others. The former is a very detailed book in Arabic on the rules of Salah and an examination of their evidences including the strength of ahadith, the reconciliation of evidences and so forth, and is around 500 pages long. It is published by Dar al-Wadah in Amman, Jordan, in 2 volumes. His books on salah and siyam are unique because he does not only discuss his derivations and the evidences behind them, but also discusses why he opts for certain opinions compared to others, supplying the usuli reasoning behind his deduction. The section of the Shaykh’s salah book dealing with taharah began during his term in prison that started in 1982. While the ultimate ahkam of taharah (purity) sometimes only take a few pages of popular fiqhi primers, the Shaykh’s research into the evidences were extensive, investigating as they did the narrations, narrators and details about both that he carried out using classical books of hadith and ‘ilmul rijaal (the science relating to strength of narrators). As such, he authored the taharah component of his salah book over 6 months. He would write a few chapters and ask his prison mate Shaykh ‘Ata Abu Al-Rashta, to review them and give his input, alongside others who were imprisoned with him and were learned in the Islamic sciences. Carry [this da’wah and deen] with ikhlas & thabat [steadfastness] until your end. He who does so has nothing to fear. We ask Allah to preserve the Shaykh, to reward him abundantly for his unrelenting efforts and sacrifices and to continue to benefit the ummah through him. The Shaykh’s books Guide for the Performer of Prayer and Masail fiqhiya mukhtarah are available to purchase at Maktaba Islamia.